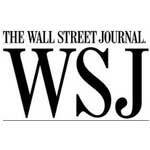 The Wall Street Journal just mentioned us in an article about the new styes of Tuxedos! Purists demand traditional fabrics like wool and peaked or shawl lapels. Notched lapels, like the ones on President Barack Obama’s tuxedo jacket at the Inaugural balls, aren’t appropriate, according to “The Encyclopedia of Men’s Clothes,” a CD-ROM book by men’s style authority Andy Gilchrist. Mr. Gilchrist and other traditionalists insist on black bow ties with tuxedos.